What is the best time of year to trek Everest Base Camp? This depends on the experience you are looking to have. Trekking to Everest Base Camp and climbing Kala Phatar is one of my favorite things to do. I have climbed to the top of Everest and trekked to Everest over 30 times. I prefer when there are going to be less people on the trial. 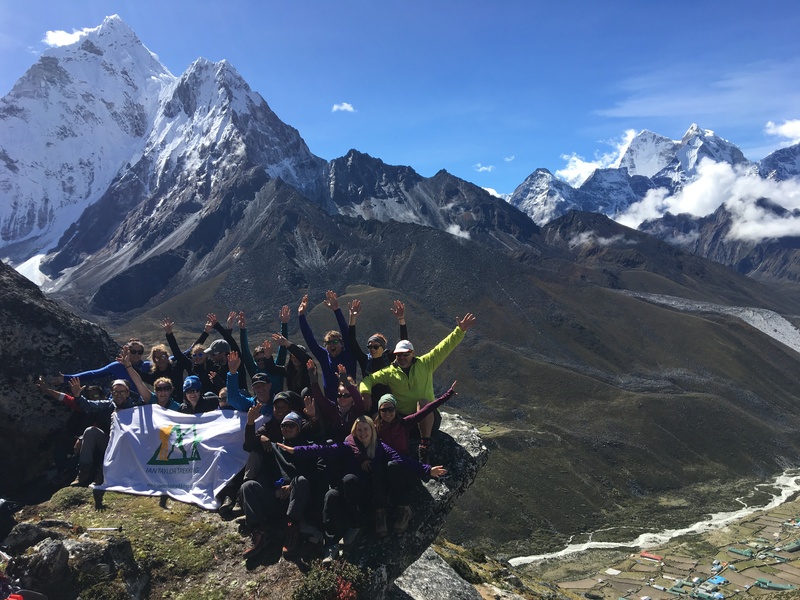 The Everest region has it all, sheer beauty, dramatic massive mountains, amazing people, challenging trails and an experience that will stay with you forever. The exciting expansive views will leave you mesmerized. Standing at the base camp of the world’s highest mountain and trekking up to the famous and classic view of Mt. 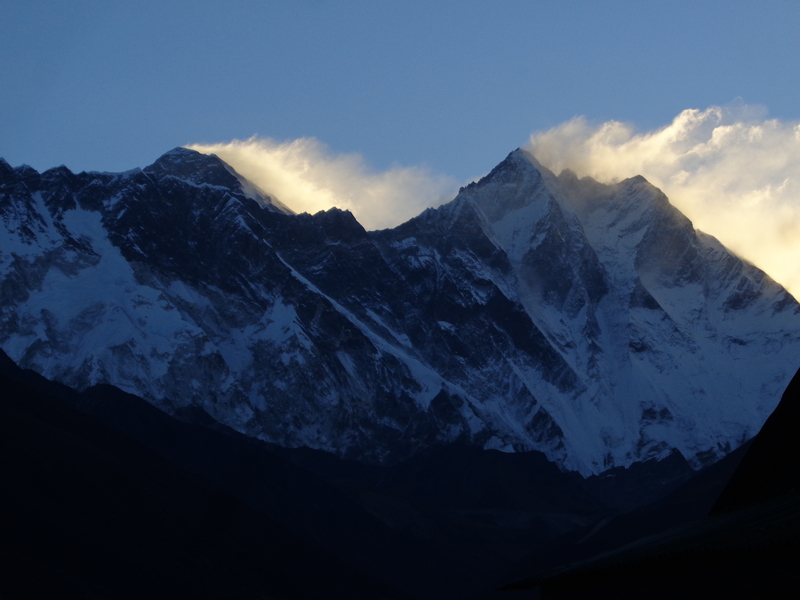 Everest from Kala Phatar is truly breathtaking. If you really want to enjoy going to altitude you need 3 nights in Namche Bazaar on the way up. Our itinerary has this built in. 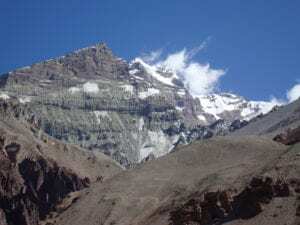 You can trek to Everest Base Camp in January and February but it can be very cold higher up (-20C/-4F to – 30C/-22F) and it can dump snow on the trail at any time of year. If you are planning on trekking to Everest Base Camp in these months, you are definitely going to need more time for weather delays. Weather conditions can be more challenging in these winter months. When planning your trek into the Everest region you need to consider the months listed above. You also need to consider the function of our trip. Do you want to be there when base camp is busy and alive with climbers aiming for the summit? Do you want to have clearer sky’s for good photography? You need to consider this in your planning. Check out our 2019 / 2020 / 2021 dates. Read some REVIEWS. The climbing season on Everest is April and May each year. Although the last two years of climbing on Everest have been stopped by a massive avalanche and earthquake. A reminder of the danger and risks of climbing and trekking in Nepal. I was in Kathmandu when the earthquake hit. Feel free to read more about that HERE. You can also READ MORE about the trail to Everest post earthquake. The trail back to full capacity with lots of people in the Everest region. The better weather months are always going to have more people on the trail which adds more risk. READ MORE. Nepal is rich in culture, history and the highest mountains in the world. You might want to watch hundreds of climbers descend on Everest Base Camp in their attempt to stand on top of the world, giving added interest in the timing of your trip to Everest Base Camp. May is traditionally the warmest month to visit Everest Base Camp, but it can be a lot cloudier. This can help, if you feel the cold that little bit more. We can never guarantee the weather in any month. It can be cloudier in May and it can still snow in Everest Base Camp in May. 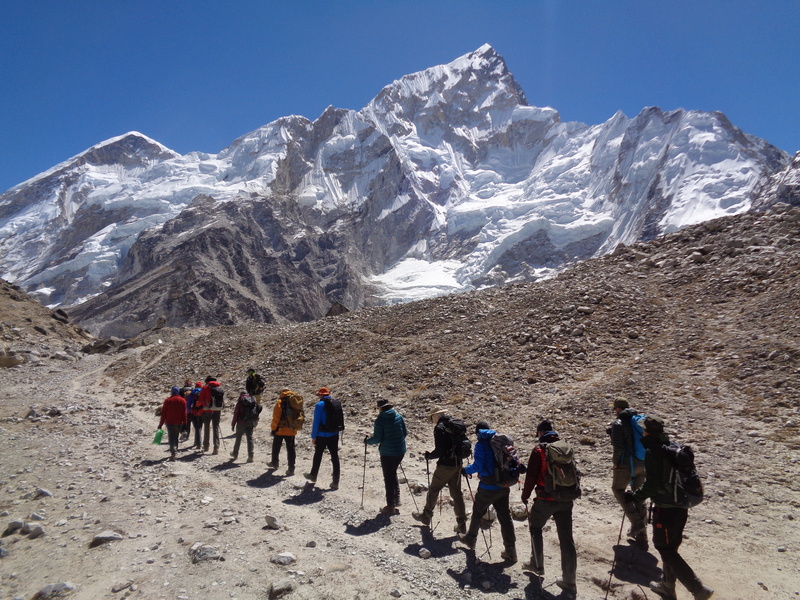 This year we ran into a foot of snow in mid April stopping our team making the journey into base camp. In saying that April would be one of the best months for trekking into Everest Base Camp. Traditionally you will find late September, October and November will provide better views of the mountains, less heat haze, cloud and clearer views of these world class mountains can be spectacular. This is not always the case but the trend usually follows this pattern. 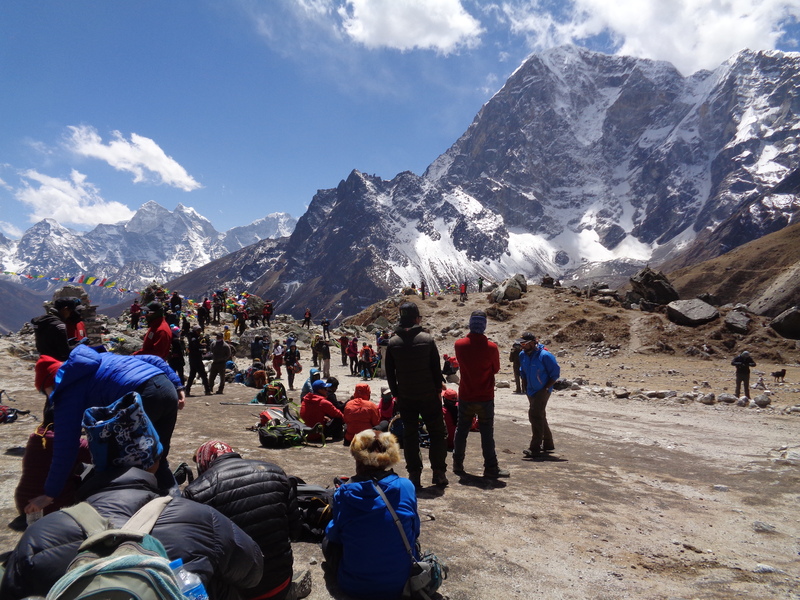 The weather can be crisp, but clear as you make your way up to the Everest Base Camp. There is always the risk of rain at lower elevations and snow higher up on the trail. Be prepared for all weather conditions and have the right gear. 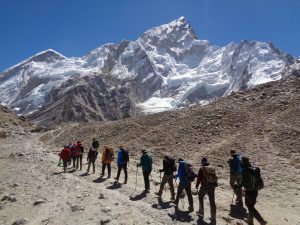 These are just a couple of things to consider when you plan your trek to Everest Base Camp. For more information about training, preparation and making a safe and enjoyable journey to Everest Base Camp feel free to CALL US or keep reading our blogs which have years of experience built into the content. 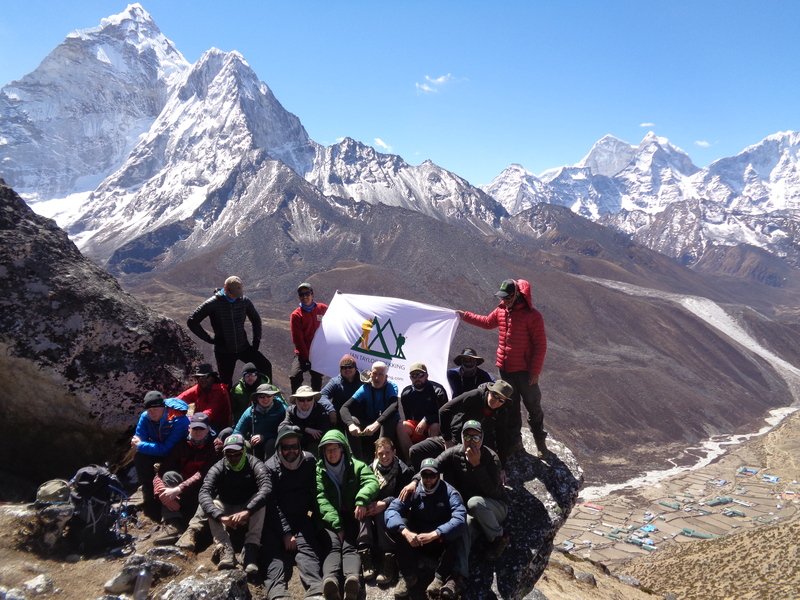 We can get you up to speed and ready to go on your own personal adventure to Everest.